As Corcerizas is located in the forest ecosystem of San Mamede Mountain, in the mountain system of the Central Massif of Ourense. 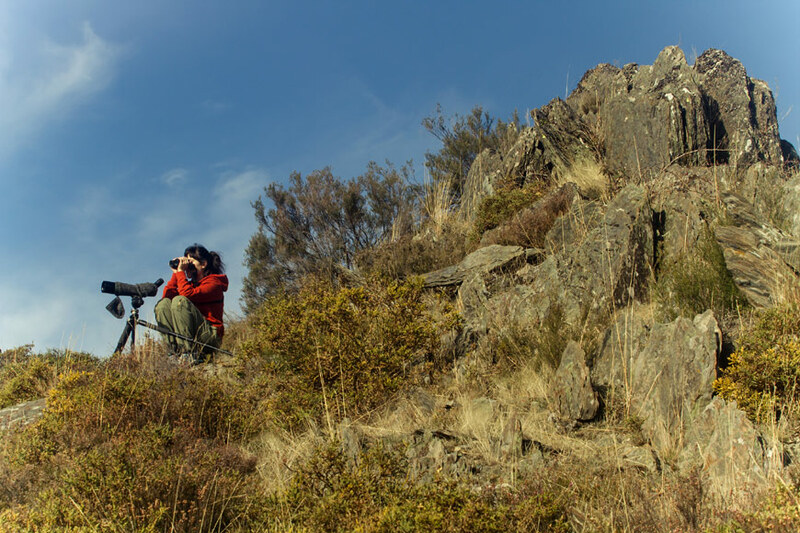 Located at the southwest of the province, has 53,000 hectares that make it the second largest protected area in Galicia, categorized as Site of Community Importance (SCI) within the Natura 2000 Network, protection figure at European level. It is a place with rich fauna, including a total of 176 vertebrate species, highlighting protected species such as the golden eagle and the Iberian emerald lizard and seriously endangered species, such as the red-legged partridge. The variety found in mountain species of amphibians and reptiles is also important, there are different types of lizards and salamanders, characteristic of the region. Among mammals, the hare, the wolf, the marten, the red deer, the roe deer and the wild boar are the example of the great biodiversity present in the area. Because of its high ecological value and rarity, the Bidueiral de Montederramo, declared Special Protection Area of Natural Values (SPA) and Site of Community Importance (SCI), it is a relevant area. It distinguishes itself by being the southernmost birch forest of Galicia, by the altitude at which it is located (between 1600 and 959 m), and by its state of conservation. Furthermore, emphasized for the rest of native species such as holly trees, rowan trees, blueberries, oaks, ferns, lichens and other specimens that change color over the seasons. Another attraction of the mountain is the Arnoia River, which originates in the mountains of San Mamede, from which you can see the remains of the footprint of the freshwater course, that one day filled with life and softened the climate of the region of Limia, the Lagoa de Antela. This is recognized as one of the most important lagoons in the Iberian Peninsula, both for its territory and its wealth, dried up from 1956. As Corcerizas location is also privileged for the great ethnographic richness that surrounds the area, due to its close proximity to several villages which are typical of the Galician mountains and other unique patrimonial elements. The descent from the mountain leads us to Rebordechao, village that preserves the architectural richness of the traditional folk constructions, such as forges, apiaries, watermills, communal ovens, built with the resources of the area. The City Council of Vilar de Barrio in which it is located has many attractions and tourist routes passing through their villages, as well as the path of Via de la Plata, an alternative way to the Santiago de Compostela pilgrimage.